Large expanses of brick wall are generally not very interesting to look at. But Behet Bondzio Lin Architekten has utilized unusual-shaped bricks to create texture and much more interesting walls. (10-22-2018, 04:01 PM)tomh009 Wrote: Large expanses of brick wall are generally not very interesting to look at. 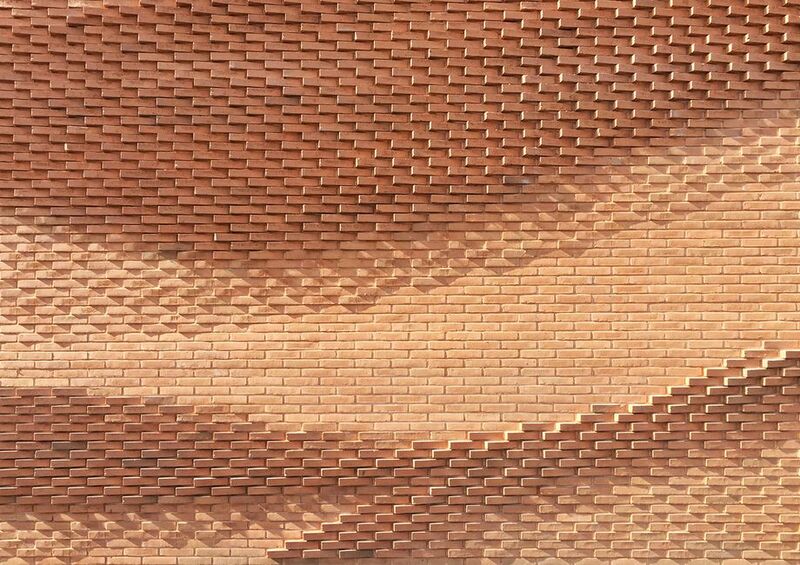 But Behet Bondzio Lin Architekten has utilized unusual-shaped bricks to create texture and much more interesting walls. I like it but I wonder how it would weather in our climate. A lot of snow and ice could, over time, cause the bricks to deteriorate. Indeed, the freeze-thaw cycle is the nemesis of such works. I'm not sure why but this gives me the same icky feeling as images with lots of tiny holes . I do wish that the region would take more time making things interesting to look at though. Murals at least. (10-22-2018, 04:49 PM)KevinL Wrote: Indeed, the freeze-thaw cycle is the nemesis of such works. It would need some care in construction to ensure good mortar seals, but you need that even with a normal brick wall (think a wind blowing rain against the wall). With proper mortar treatment the only difference would be that some water could sit on top of the horizontal parts of the bricks, but that really shouldn't cause damage, even if it were to freeze. There are century homes in town with decorative brickwork, around windows, for example. Weather does not seem to have been an issue. (10-22-2018, 10:32 PM)panamaniac Wrote: There are century homes in town with decorative brickwork, around windows, for example. Weather does not seem to have been an issue. There's a house near the end of Schneider at Queen that has some really "bumpy" brickwork that seems to have lasted quite a while in our climate. If you look closely, those are rocks mixed in with the brick.